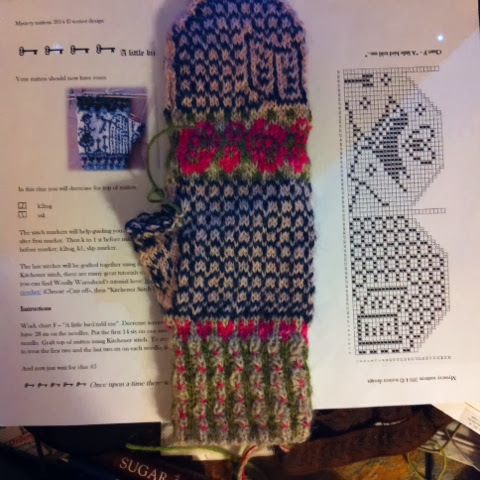 The left hand mitt is complete (except for the thumb, of course) and now we wait for the right hand clues. I can't believe how much I am enjoying the the colour work now. As long as I knit slowly it seems to be okay and I don't lose my place in the pattern. I will take daylight pictures when they are finished! They are going to be warm and just the right size for me. Oh, have you all been listening to the audio book? I am up to the end of Chapter 25 now. Something wonderful about Rubber Stamps! Is it a Secret Garden? 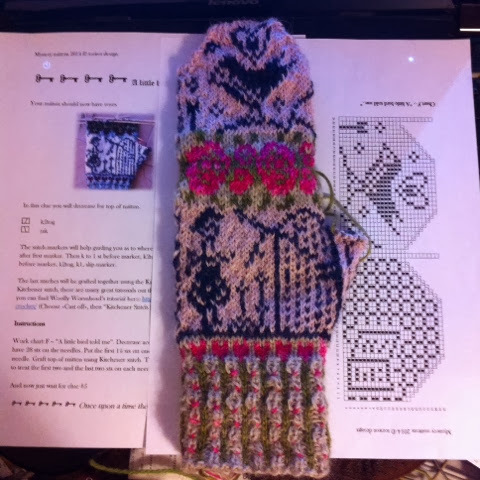 Mystery Mitts and a confession!